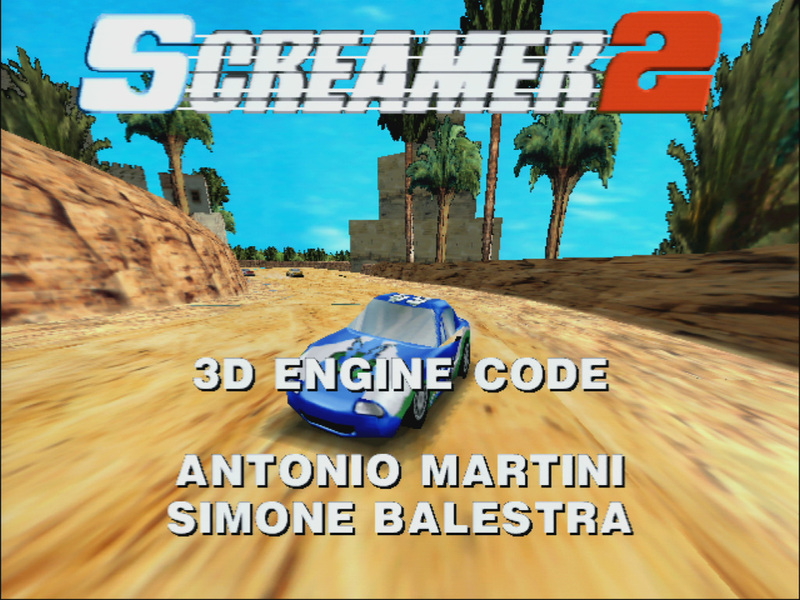 The GOG.com release of Screamer 2 contains an image of the installation CD with Audio CD tracks in the BIN / CUE image format. I covered creating an installation CD for such games on this page. 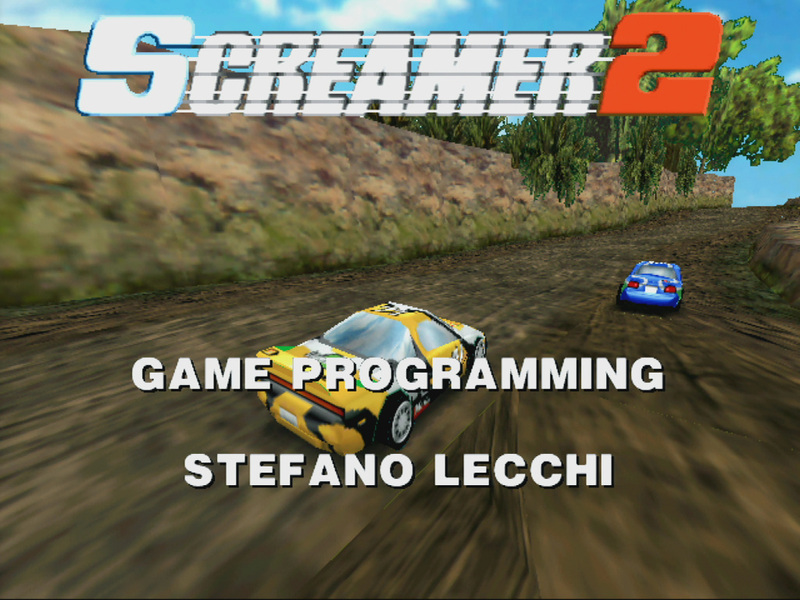 The game is Windows friendly and therefore can be played form within Windows 98. But of course it also works under MS-DOS 6.22 and MS-DOS mode of Windows 95 or 98. There are two patches that add 3dfx Voodoo support depending on what card you have. For a Voodoo use patch s23dfx.exe and for Voodoo 2 and later use patch S2_3DFX.EXE. Both patches can be downloaded below. 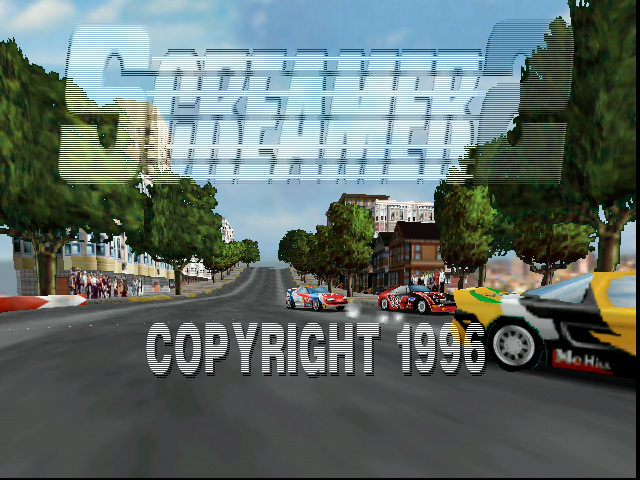 For Voodoo 2 and later there is a driver glitch with the newest 3dfx drivers. It results in interlacing image corruption as shown on the right hand side. The game will work with an older driver but there is no need to install an older driver! By default the game looks for the file glide2x.ovl in any of the SET PATH folders which is usually in C:\Windows. You can override this by simple copying the older version of glide2x.ovl into the game folder which is C:\S2. The latest glide2x.ovl compatible with this game can be downloaded below. A note regarding MS-DOS mode. I observed that when EMS memory is configured the game will not start and lock the machine with a black screen. Loading MS-DOS mode with XMS memory addresses this issue.